Perth, WESTERN AUSTRALIA – 2 March 2018 – Users of IMDEX Limited (IMDEX) ioGAS software, can now connect directly to acQuire Technology Solutions’ (acQuire) GIM Suite for easier analysis of their geoscientific data. acQuire’s GIM Suite, used in over 450 sites globally, enables the capture, management and delivery of geoscientific observations and measurements. ioGAS performs visual analytics and applies advanced quantitative tools to deliver greater insight into data. With the new connection, ioGAS users access geochemical, geotechnical and geological data directly from GIM Suite without leaving the software. Data can be selected, filtered and shaped directly from within ioGAS, removing the need to deal with intermediary file formats and manual conversions or processes. For ioGAS customers it means less work: they can source the right data faster for analysis and be confident they are working with the most reliable, up-to-date data. 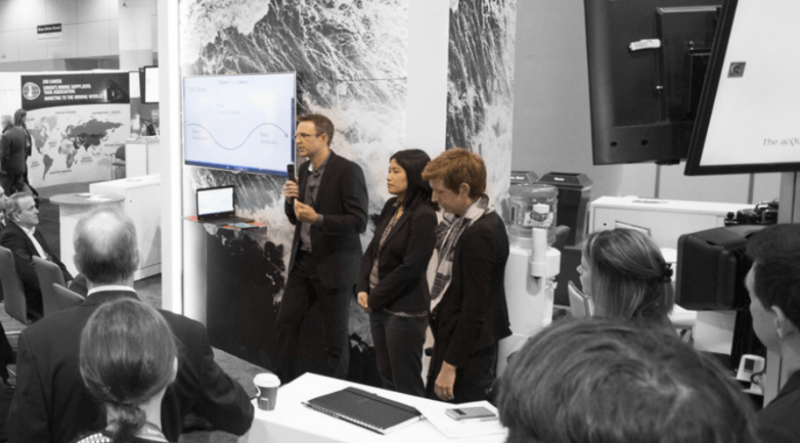 Chief Geoscientist at IMDEX, Dave Lawrie, says, “The connection between the software means users can quickly detect patterns, anomalies and relationships in their geoscience data. “Customers using ioGAS can expect quicker analysis results and heightened data reliability from data sourced directly from GIM Suite”. acQuire’s Director of Product, Steve Mundell, says the link to ioGAS is another step in the technology partnership forged with IMDEX last year. “As a result of our technology partnership with IMDEX, we are pleased to develop new interoperability, which will ultimately benefit our customers working with both products. Dozens of software suppliers servicing the natural resources industry have worked with acQuire to ensure their users can seamlessly connect with their geoscientific data. The new interoperability between ioGAS and GIM Suite will be featured at PDAC 2018. You can visit acQuire’s booth 823 for more information about the technology partnership and other new product release details for GIM Suite. acQuire Technology Solutions is an employee-owned company originating in Perth, Western Australia.